After IOREC I in Accra, Ghana in 2012 it has been a fascinating experience for ARE to return back home to Africa with the IRENA led IOREC III conference, which took place in Nairobi, Kenya (30 Sep – 1 Oct) this time. We believe that with the organisation of the exhibition in parallel to IOREC and a matchmaking workshop the day before the event, ARE contributed to the success of IOREC, which had more than 500 participants strongly committed to energy access based on renewables. Based on the momentum achieved by IOREC the time has now come to manifest and further strengthen the position of decentralised solutions. In this regard please make use of the opportunity to meet the experts most committed to SDG7 at COP22 in Marrakech, Morocco (7-18 November), where the European Commission will organise a side event presenting the results of the 1st round of invitation under the Electrification Financing Initiative (ElectriFI). It is important to note that there is still more broad support needed to set up new de-risking initiatives to make the possible happen in practice. At the same time, relevant experiences have been made already from which new, as well as existing, initiatives can learn from. 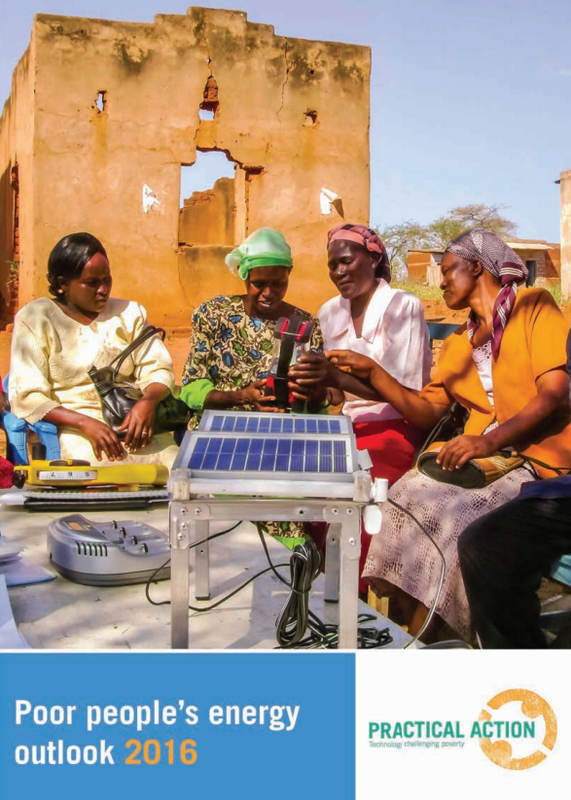 In this regard, we recommend the reading of the latest edition of Energy Access Best Practices in Africa launched at IOREC, which collects lessons learnt from 24 organisations under the AEEP Energy Access work stream. 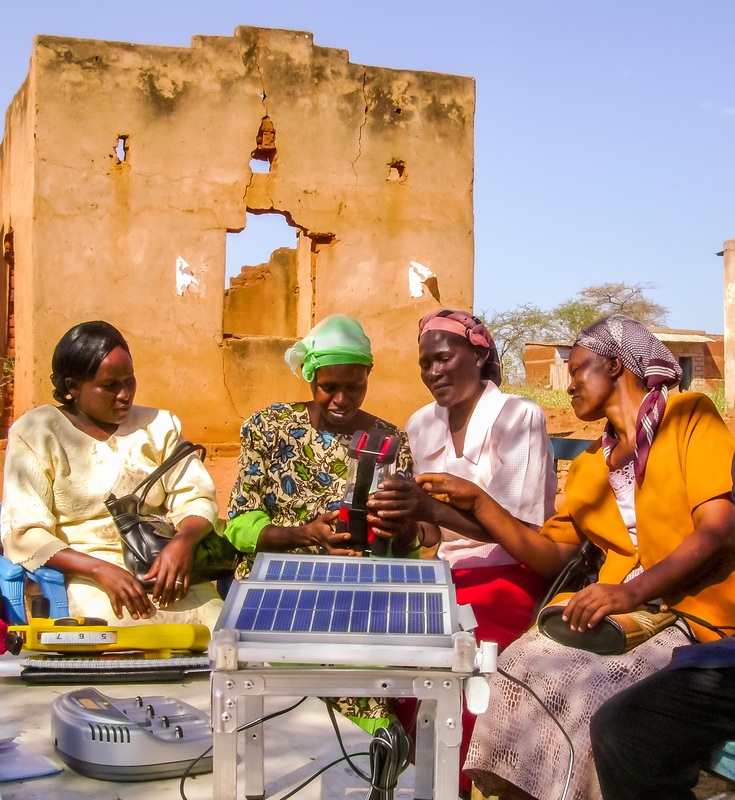 Similarly, please be aware that the ARE Secretariat regularly updates the Off-grid Matchmaking Platform, which allows all stakeholders in the sector to find relevant partners in the sector and to discuss lessons learnt, with new cases and members who trust that sharing of knowledge is key for scaling up energy access in quality and quantity in the short term. 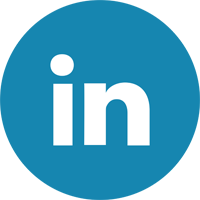 We are happy to notice that the topic of this newsletter attracts a lot of interest from companies and ARE partners to share their views and solutions. This edition will focus particularly on hybrid systems, shedding light on the viability of these types of systems through different perspectives such as: how different sources of energy can complement each other, how to integrate a larger share of renewables into microgrids, financing of hybrid energy solutions, efficient storage and the productive use of the energy produced by hybrid energy systems. After the well-received participation of ARE President, Ernesto Macias’ presence at the EU-Caribbean Sustainable Energy Conference in Barbados on 10-11 Oct as a first step, please note that ARE is in the process to become more pro-active in Latin America next year. To already address the tremendous potential for hybrid systems based on renewable energy please allow me to draw particular attention to the co-editorial by Dr. Ariel Yepez, Chief of the Energy Division at the Inter-American Development Bank, who specifically highlights how hybrid systems can help achieve clean energy access in Latin America and the Caribbean region. As a final note, ARE is very happy to welcome the newest Members of the Alliance, which have joined since the last ARE Newsletter in August: Becquerel Institute, Energy Access Ventures, ABC Contracting, Nizam Bijli, ecoligo, and Autarsys. Wishing you a pleasant reading. How can off-grid hybrid systems help achieve universal access to electricity in Latin America and the Caribbean (LAC)? LAC may be the first developing region to achieve universal access to electricity. 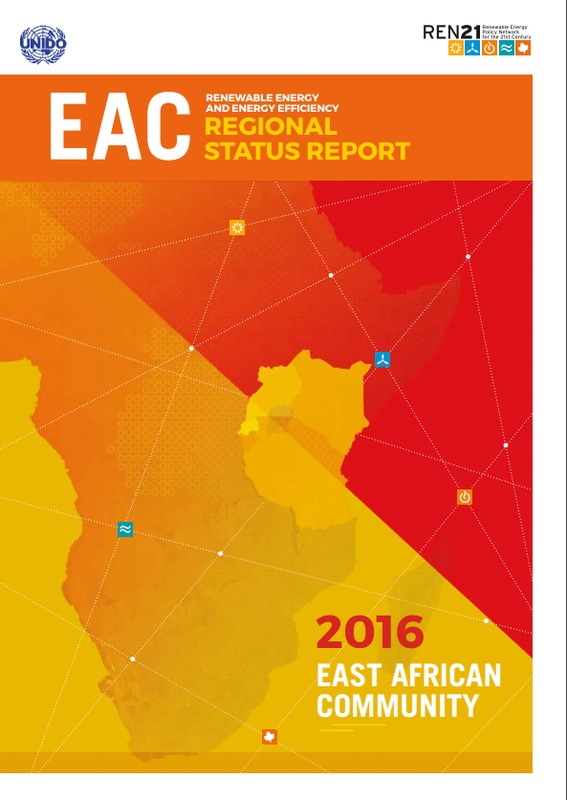 Statistics indicate that electricity coverage in the region exceeds 96%. However, this means that some 25 million people – about six million households – still lack service. Providing electricity to these people requires solutions based on an evaluation of factors such as technology, environmental and social context, economic viability and a cost-benefit analysis. Available solutions include grid extension and off-grid systems (individual or mini-grid). As advances in coverage are made, the technical difficulty and cost of projects increase due to remoteness of the location, low population density, and low energy consumption. The Bank conducted a high-level analysis which estimated that about 60% of the electricity access deficit in LAC could be resolved with urban and rural grid extensions and the remainder via off-grid solutions. About 30% of the off-grid solutions would be in the form of mini-grids and the rest would rely on individual systems. Hybrid mini-grids typically combine thermal generation–usually diesel–with renewable generation. However, hybrid mini-grids may also combine various renewable sources without involving thermal generation. In rural electrification, if renewable resources are sufficient, it is not necessary to include thermal generation in the mini-grid. There are exceptions, such as hospitals, in which thermal generation complements the system to ensure an uninterrupted power supply (24-hour-a-day service every day of the year). 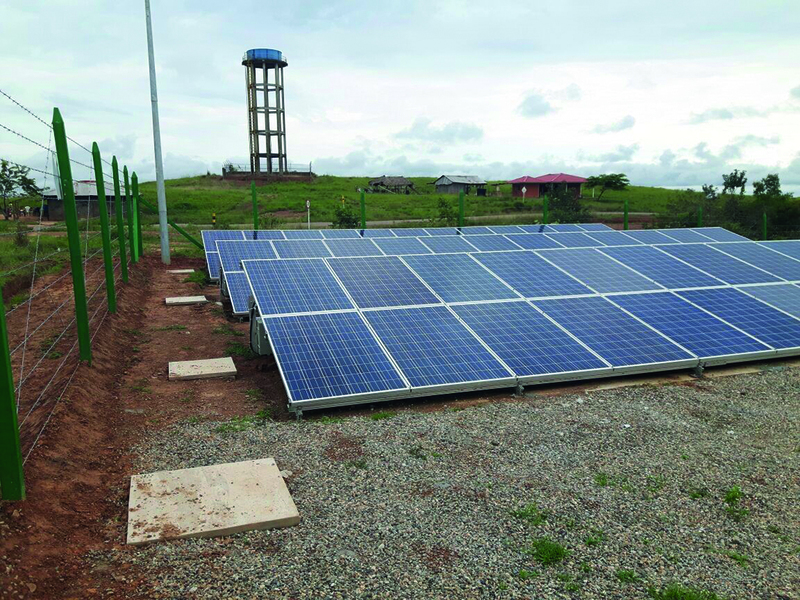 There are also cases of mini-grids operating solely on diesel generators, some of which face issues with financial sustainability and the availability and quality of supply. There is therefore an opportunity to turn these into hybrid mini-grids by complementing their current generation capacity with renewable sources, thus lowering operation costs, improving performance, and increasing availability. A key challenge that off-grid projects often face is sustainability. Sustainability requires adequate administration, operation, and maintenance. The rates that service providers charge are relevant to ensuring the supply and delivery of service and to system operation and maintenance. It is also important to empower beneficiaries from the very beginning, including women in the community, and to take into consideration their needs. Women in rural areas normally spend more time at home, and their needs should be taken into account when planning energy solutions. Electricity has the potential to generate increased economic activity in the community. The use of sustainable mini-grids could increase significantly in the coming years because they are becoming more financially and economically viable as a result of the declining costs of technology and improved financial models that quantify the economic benefits associated with electricity use. This means that mini-grids that were previously financially unfeasible could now be sustainable. In 2015, IDB and UNEP, financed the implementation of a hybrid diesel-PV mini-grid and a PV mini-grid in Haiti, which reached 1500 households in total. In 2016, the IDB approved a loan to Ecuador to finance seven solar mini-grids to deliver 24/7 service to 150 rural, poor families. IDB will continue to support such initiatives in order to reach the goal of providing universal access by 2030. In this regard, ARE is an important partner in supporting the work of ‘Sustainable Energy for All’ on energy access in Latin America and the Caribbean. Part of the strategy to reach universal access in the region involves joining forces with other energy access initiatives and networks such as ARE. Recent drought in Central America has taken a toll on small farmers, who rely largely on rains to water their crops. Irrigation requires not only infrastructure, but also access to electricity, which many farmers lack. Some have turned to diesel generators, but fuel is costly and polluting, and requires travel to town. Others water crops by hand. Neither option provides farmers the reliable, affordable irrigation they need to maintain crop production and get beyond subsistence. Solar powered drip irrigation has great potential to address this issue, helping farmers both access power for their pumps and use water more efficiently. In 2014, GRID Alternatives approached Unión Nacional de Agricultores y Ganaderos (UNAG), one of Nicaragua’s largest agricultural groups, to find small organic farmers that could benefit from solar. They introduced us to Nelson Valle, a farmer in Jucuapa, Matagalpa, who was paying USD 130 a month for electricity and diesel fuel to irrigate two acres of land three days per week. Due to water constraints, he was able to grow only squash, passion fruit, and tomatoes, and was struggling to support his family. GRID and local installer Suni Solar worked with Valle to determine his needs and design his system. Mr. Valle was required to contribute 20 percent of the cost, USD 2,000, which he borrowed from his UNAG chapter. GRID paid the remaining USD 8,000. Staff and volunteers worked alongside Valle to install a 370 W pole-mount PV system that powers a pump to bring water from a nearby river into a concrete storage tank, which feeds into a drip system. The DC-direct stand-alone system has no batteries, eliminating the need for battery replacement or maintenance. One year after the installation, the Valle’s income had increased 2,000 percent. They added new crops and plants for grazing cattle, and began raising tilapia. Community members benefitted as well, purchasing crops from Valle to sell in urban markets. The Valle family began saving and investing for the first time, and within two years had built a home with their earnings. Mr. Valle’s success has sparked interest from nearby farmers, like Silverio Rizo and his family of twelve, who signed up to receive a system later the same month. As with all of our projects, GRID provides regular check-ups to ensure the system continues to serve the Valle family. Read the full case study here, or click here to learn about GRID’s program. We all know the startling statistics: 1.1 billion people with no access to energy; 2.9 billion with no clean cooking facilities, and up to 30% of those families’ revenue spent on poor energy. Still, if we take a deeper dive into this world, it´s impossible not to get hooked by other not so highlighted information, but so powerful that can blind us for a while – and that has driven Schneider Electric to review its Access to Energy Program approach in Brazil. Now, its training in electricity and photovoltaics systems, and its entrepreneurship module, are designed - and delivered - through a gender lens. We all know the startling statistics: 1.1 billion people with no access to energy; 2.9 billion with no clean cooking facilities, and up to 30% of those families’ revenue spent on poor energy. Still, if we take a deeper dive into this world, it´s impossible not to get hooked by other not so highlighted information, but so powerful that can blind us for a while – and that has driven Schneider Electric to review its Access to Energy Program approach in Brazil. Now, its training in electricity and photovoltaics systems, and its entrepreneurship module, are designed - and delivered - through a gender lens. Then, in 2014, Deloitte University Press launched another report linking gender to energy, entitled “Women, energy and economic empowerment – applying a gender lens to amplify the impact of energy access”, which concludes that “a gender lens approach to energy access programs can be beneficial all the way around – for women, for local community, and for emerging nations”. With this in mind, and a strong support from the top management, we set foot in the hinterlands of the State of Bahia, where we delivered our first Access to Energy project with a gender lens. Out of the 35 students trained, amongst men and women, only 2 women became engaged entrepreneurs. We’d expected a higher result due to the local reality and its need for autonomy to effectively and safely maintain residential electrical energy and photovoltaic systems. What’s happened? Mainly, ingrained socio-cultural context and the lack of a strong local organization. In the region, households are far away, and women innovators can be weakened by the distance: they´re mostly expected to help their families in the fields, or with household chores. Plus, there was no structure for the creation of what we call an “energy entrepreneurship net”, one that could support women both in their early stage businesses and, as important, in their feeling of belonging. Now, on the verge of launching our second Access to Energy project with a gender lens, we have articulated with a diverse, yet complementary, set of partners: from the private sector to strong local community groups. Yet, since Brazil is a continental country, achieving higher results in one place won´t mean that we´ll have created the right recipe: our diversity of people and places help us being a rich, yet challenging, soil for innovation. 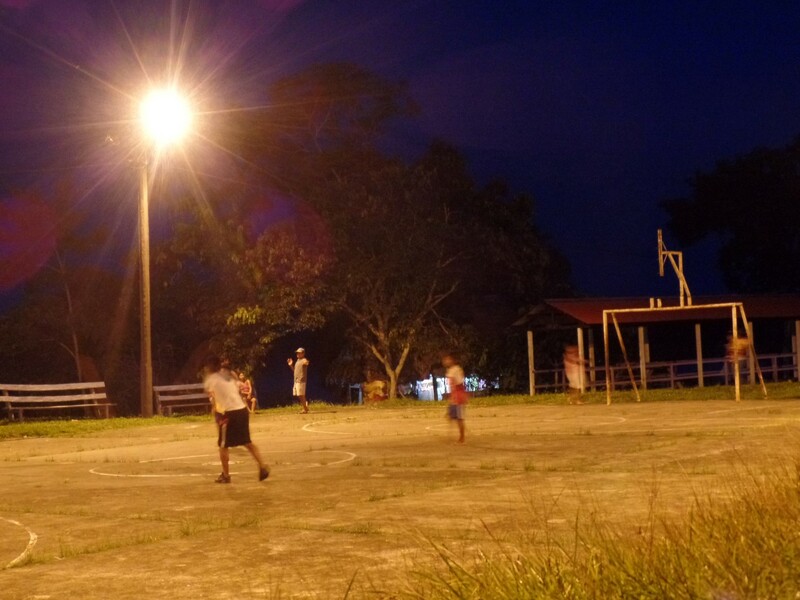 Since early 2015 there is a rumble in the small town of Bellavista located some six boat hours from Iquitos in the Peruvian Amazon: Electronics have come to this remote area. Since early 2015 there is a rumble in the small town of Bellavista located some six boat hours from Iquitos in the Peruvian Amazon: Electronics have come to this remote area. An ice machine smashes its cold product into a steel box. Bellavista’s women take the ice to cool orange juice, fill it into small bags and sell it to travelers passing Rio Napo. Smart Hydro Power and the Peruvian project developer ECO Consultorías e Ingeniería realised a project which does not only allow to run the ice machine and to give commercial use to previously lost fruits. 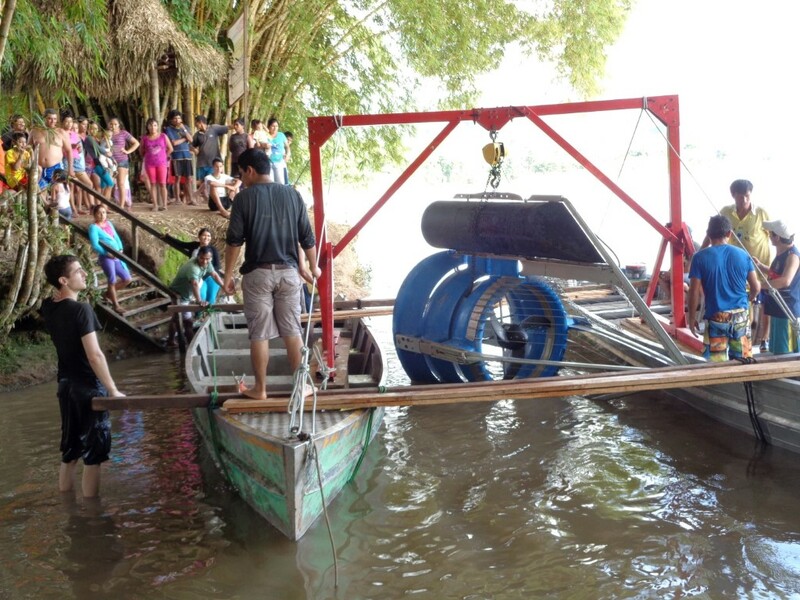 A hybrid system with two hydro kinetic turbines, 3 kWp photovoltaic and a 4 kW gasoline generator has changed the life of the small community with 30 households. While the community shelter remains the center of local life this is now enriched by services available for all inhabitants: potable water is available at WHO quality from a central water tap, a fridge allows to store and to conserve certain food like fish for the market and the large sports field is now illuminated by night. In addition, all households are connected to one of the cells of the newly installed micro-grid. This has been possible thanks to the financing of the Peruvian development agency Innovate and an innovative new technology from Germany adapted to real life circumstances in rural Latin America. The kinetic hydropower plant works with the flow of the river only and requires no other infrastructure than a block of concrete withholding 16 kN towing force (approx. 1 m3). The hydro-kinetic turbine generates – just like wind turbines – a chaotic AC which is first rectified and then inverted to 230 V AC. The same hybrid grid tied inverter is receiving as second line with separate MPTT the current from the PV panels and injects into the micro-grid established by an off-grid inverter. This AC-coupled system comes completely pre-wired. Compared to a DC coupled system where the entire generation is always passed over the batteries its batteries are used only if demand cannot be met by the generation from PV and hydro-kinetic and do therefore run with less load cycles (and do therefore have a longer standing time). The system has been installed by one SMART engineer and the villagers themselves. This gave them a good training in operating and maintaining the system. The German based engineers are now only connected via satellite to the remote control of the electronics and local people look after it themselves – having now a rumble in the jungle. Rubiales is a small village of 100 homes in the Meta department in eastern Columbia. The Orinoquia region constitutes 3/5 of Colombia but only a few percent of the population live there. The Colombians themselves calls it the "Alien land". 160 km from the closest bigger city, Rubiales is truly off-grid. The village water supply is handled by a pumping station with two submerged pumps. One pump draws water from an 80m deep well into an 80m3 water storage tank. The second pump transfers water from that tank to a 50m3 storage tank in a water tower located 60 m above ground. The water then flows by gravity to the village users. Initially this pumping station was powered by a diesel generator. As both fuel and maintenance of the diesel generator are expensive, the villagers were looking for a renewable energy system to replace it completely. With assistance from the company Hemeva S.A.S., the Rubiales village is now solely using solar power for their local aqueduct. 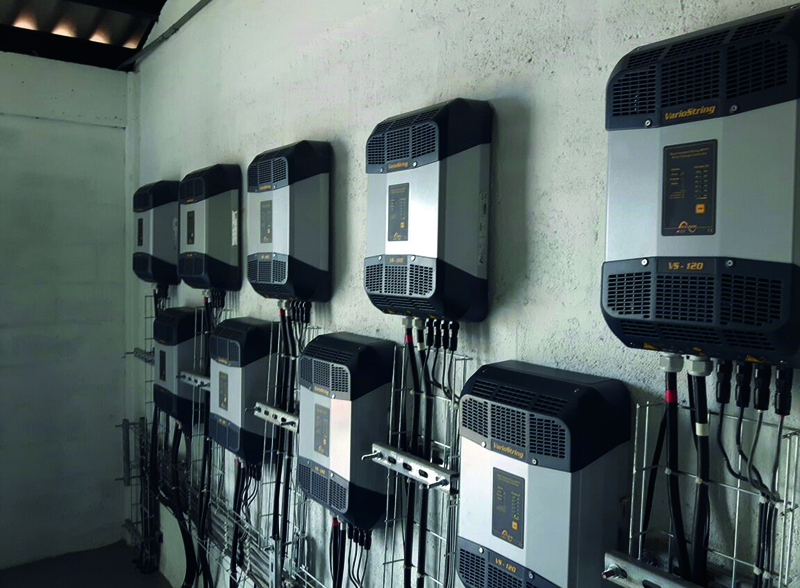 The new solar system is composed of a 54 kWp solar field, four 48V battery banks each of 2405Ah C-100, nine MPPT solar charge controllers VarioString VS-120 in parallel and three inverter/chargers Xtender XTH 8000-48 in a 3-phase system configuration. As additional benefits, its operation is silent and without any pollution. Hemeva S.A.S has a long history of providing renewable energy solutions for domestic, industrial and recreational use in Colombia. For this installation, they chose to work with Studer products, as the communication between solar charge controllers and inverter/chargers is excellent, making the system easy to install and to commission. Replacing the diesel generator with an off-grid system to power the pumping station was not only a technical challenge but it also meant a reorganisation of the pumping station's running times in order to make the system efficient. The pumps are still running nine hours per day; however, they start a few hours later in order to fully benefit from the power generation close to midday when the sun is at its peak. In the beginning, this change was difficult for the people as they were used to having the water supply already at five o'clock in the morning. Apart from this initial adjustment, Rubiales is currently taking fully advantage of its new installation, in silence and without pollution from the diesel generator. Economics and customer preferences are driving microgrid owners to integrate higher concentrations of non-dispatchable renewables (50% to 100% of capacity) into their system. This presents technical and operational challenges, including intermittencies, system-balancing problems, power quality issues and more. However, with adequate planning and appropriate technologies (e.g., automated controls and storage), microgrid operators can now effectively address these challenges. Supporting the microgrid owner’s desired objectives may require one or more of these functions. In any microgrid deployment, the underlying components and system configuration determine which of these services are required to deliver owner objectives and maintain microgrid functionality. Therefore, when planning a microgrid deployment, upgrade or expansion (especially involving high levels of renewables integration), it’s helpful to prioritise the owner’s objectives and consider which microgrid services might best support those ends. This decision-making process can guide technology choices, as well as highlight the long-term value of upfront investments in hardware and software infrastructure. If a cleaner energy mix is the primary objective for a grid-connected microgrid, it may suffice to simply install a low level of renewable generation and leverage the grid to balance fluctuations in local production. Additional investments in complementary assets (such as storage) may be justified if high-priority objectives include maximisation of the proportion of renewable energy consumed on-site, reducing demand charges through peak shaving, or participating in utility load-shifting programs. In general, where the desired penetration of renewables is higher, and where loads are more complex (less flexible or highly dynamic), a microgrid will need to incorporate additional functions from the list of 8 S’s. This is achieved through careful selection of generation assets, energy storage, and controls. 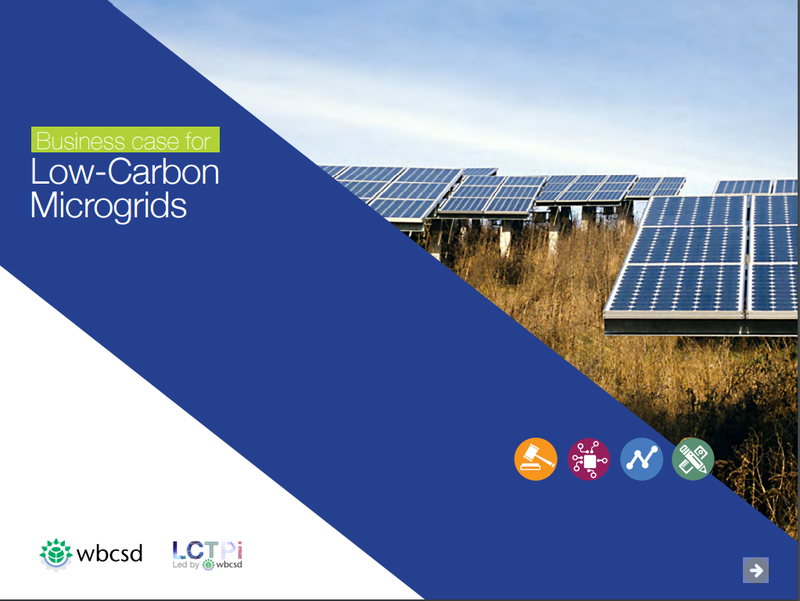 Download the white paper to learn more about the key considerations that must be considered to successfully integrate high levels of renewables into microgrids here. The Althelia Climate Fund is an impact fund that creates value through investments in agroforestry and ecosystem conservation, applying best-in-class environmental, social and governance criteria (ESG).The Euro 100 million fund, invested by large public and private institutional investors is an eight-year closed-ended fund that generates returns through the production and sale of real assets (in the form of sustainable agriculture and soft commodities such as certified cocoa and coffee, FSC timber etc. ), as well as environmental assets that are currently undervalued (including carbon emission reductions and other payments for ecosystem services such as biodiversity and water). The Althelia Climate Fund is an impact fund that creates value through investments in agroforestry and ecosystem conservation, applying best-in-class environmental, social and governance criteria (ESG). The Euro 100 million fund, invested by large public and private institutional investors is an eight-year closed-ended fund that generates returns through the production and sale of real assets (in the form of sustainable agriculture and soft commodities such as certified cocoa and coffee, FSC timber etc. ), as well as environmental assets that are currently undervalued (including carbon emission reductions and other payments for ecosystem services such as biodiversity and water). In addition to fair financial returns, the Fund’s investments deliver substantial positive ESG impacts that further social development, such as gender equality and the economic improvement of communities whereby people’s livelihoods depend directly and indirectly on natural ecosystems. The Althelia Climate Fund also generates tangible environmental benefits at the local level through its protection of biodiversity, ecosystem services, conservation and the improved management of natural resources. Investing heavily in community-based organisations, it became increasingly clear for Althelia that access-to-energy is a key complement to its activities with local communities. Althelia is thus expanding its scope of work, adding financing access to energy to its initial investment scope. Applying its proven investment approach to access-to-energy, Althelia expects to create synergies between sustainable land-use and access-to-energy, mitigate implementation risk and diversifying revenues streams. Althelia typically invests Euro 5-10 million in loans or equity, which can be complemented by debt. Althelia primarily focuses on off-grid projects based on either pay-as-you-go or utility scale. Solar technology and diffusion at scale of clean cookstove devices is where Althelia would firstly be interested to invest in; Biomass to power as well as run of river hydro projects could also be of interest. Althelia prefers project holders that are financially involved in the projects/company. Geographically, Africa is the main area of interest even though opportunities in Asia or Latin America could also be looked at. Typical expected returns are 8% to 10% for an investment period of five to seven years. As the demand for clean energy rises, so too has the demand for energy storage. Batteries and other storage products extend the ability of renewable energy systems to provide clean power when the sun isn’t shining or the wind isn’t blowing. In the last few years, Aquion Energy introduced innovative, saltwater-based electrochemical batteries. As the demand for clean energy rises, so too has the demand for energy storage. Batteries and other storage products extend the ability of renewable energy systems to provide clean power when the sun isn’t shining or the wind isn’t blowing. In the last few years, Aquion Energy introduced innovative, saltwater-based electrochemical batteries. Recently Aquion commissioned its first battery system in Africa. 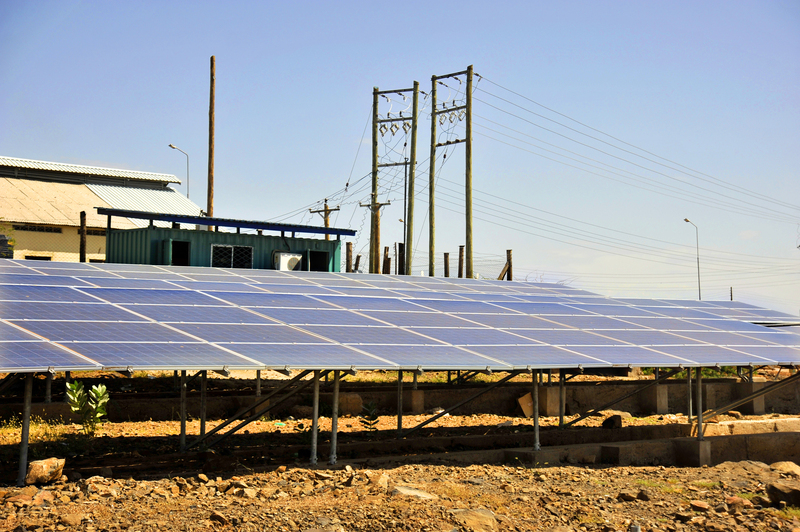 Together with SolarAfrica, an African solar energy services company, Aquion transformed power generation and supply at the Loisaba Conservancy. This world-class ecotourism destination and hub for wildlife research in Kenya, East Africa, is far from any power grid. “Loisaba comprises 56,000 acres of pristine lands, populated by hundreds of animal species and enjoyed by thousands of visitors and guests each year,” says Tom Silvester, CEO of the Loisaba Conservancy. Guests and staff of the conservancy used to put up with noisy diesel generators. Now, Loisaba has a microgrid consisting of two independent systems, each of which has 106 kWh of Aquion batteries paired with a 37 kW solar array. The microgrid powers a commercial laundry, swimming pool, kitchen, business services, lighting, cooling, and other facility loads during the day. It also charges the Aquion batteries, which discharge overnight and during cloudy periods. Off-grid microgrids, common at remote lodges, have often relied on diesel fuel, which has a large carbon footprint and, in some regions, can be painfully expensive. With the solar power system and storage, Loisaba expects to reduce diesel consumption by 95% and save 53 tons of CO2 per year. Aquion batteries can also obviate the need for lead acid batteries. Despite their known toxicity, lead acid batteries are another staple of solar-plus-storage microgrids. Aquion’s Aspen batteries have a unique, environmentally friendly electrochemical design, and they are the first and only batteries in the world to be Cradle to Cradle Certified. 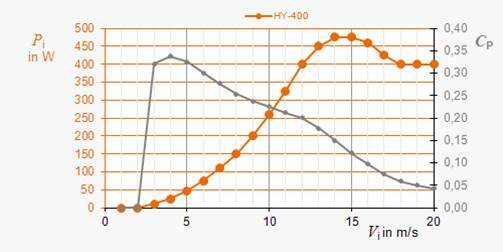 Aquion batteries also provide long life under partial-state-of-charge usage and in high ambient temperatures, two key problem areas for lead acid batteries. Hivos’ Renewable Energy programme focuses on governments and large corporations as well as people without access to modern forms of energy. Hivos’ Renewable Energy programme focuses on governments and large corporations as well as people without access to modern forms of energy. Hivos and its partners demonstrate that renewable energy is not a pipe dream or an alternative, but simply the best choice. We do that by making simple, smart and clean off-grid technologies accessible to poor people in remote areas, like biodigesters, biomass briquetting and solar power systems, or mini-grids running on liquid biofuels, amongst others. We work in Africa, Latin America and Southeast Asia. This year, we have been thoroughly investigating and piloting hybrid energy systems in Tanzania. We are known to join forces with local organisations and entrepreneurs because we have seen that decentralised renewable energy systems, more reliant on small-scale generation from renewable energy sources, also allow consumers to become producers themselves, thus driving local economic development. We also support NGOs in developing countries to increase the demand for (renewable) energy access in remote locations. In Tanzania, Hivos has been working with the Tanzania Traditional Energy Development and Environment Organisation (TaTEDO), who has been promoting access to sustainable energy since the early 1990s. The Hivos hosted gender and energy network ENERGIA, has been working in Tanzania through its Women’s Economic Empowerment Programme on reaching the last mile. Additionally, Hivos has been collaborating with a broad variety of local stakeholders in the energy domain through its ENERGY CHANGE LAB, together with International Institute for Environment and Development (IIED). As energy problems differ, Hivos has been looking into solutions for so-called ‘wicked problems’. As in many cases in Tanzania, the national grid is not yet delivering up to its full potential, we have been looking into the opportunity for people to take matters into their own hands. This so-called ‘prosumer’ concept builds on people being both a consumer as well as a producer of energy. Such an idea would connect nicely to a situation that also has a grid. Doing it yourself would mean solar home systems with limited functional capacity. However, it can also be the start of an intertwined network of solar home systems, building on and connecting to each other. This is sometimes called ‘swarm electricity’, or a ‘pico-grid’; it can be a grid in itself, powering households and using excess power of the individual owner for (light) productive use, or it can add renewable power to the national grid. This type of bottom-up energy systems is not only cheap and environmentally friendly, but it also gives citizens ownership over their energy costs (and potential income). In countries as the Netherlands it is starting to take off. However, it is more challenging in a country like Tanzania. Together with partners on the ground, The Energy Change Lab has scoped various options. Due to some restrictions in grid-powered areas, we have focused on rural, unconnected areas first. However, with the prospect of an ever-growing population, especially in cities, and the need to green our energy system, the ultimate aim for our pilot is to move to more (peri-)urban areas in 2017. Solar photovoltaic (PV) energy has by now been established as a cost-effective alternative to fossil fuels, especially when benchmarked against diesel generators. And yet, it is the same costly diesel generators that are commonly found in areas that are struggling to achieve a reliable electricity supply. The potential to lower operating costs and improve reliability of supply by hybridising these diesel generator-based grids through the integration of PV systems is significant. Solar photovoltaic (PV) energy has by now been established as a cost-effective alternative to fossil fuels, especially when benchmarked against diesel generators. And yet, it is the same costly diesel generators that are commonly found in areas that are struggling to achieve a reliable electricity supply. The potential to lower operating costs and improve reliability of supply by hybridising these diesel generator-based grids through the integration of PV systems is significant. However, a major hurdle to hybridisation is the access to affordable financing resulting from high perceived risk on pre-investment modelling. The key evaluation criterion for the financial performance of PV integration is the actual savings on the clients’ diesel consumption. In order to be bankable, the fuel savings calculation of a hybrid system needs to prove that it is based on strong and comprehensive assumptions. To facilitate this step of project development, VDE, together with GIZ, have developed a standard for certifying load measurements and fuel saving calculations. The standard is made up of four parts: 1) a procedure for load measurements and a methodology for extrapolation, 2) a definition generator input parameters required for the simulation of hybrid power generation, 3) the definition of input parameters for storage devices (optional, in case these are part of the system), and 4) the fuel savings simulation itself to which parts 1-3 constitute the inputs used. Fuel savings simulations may be certified according to ‘Procedure B’, which means that basic requirements have been met, or ‘Procedure A’, which means that more stringent requirements have been met. An issued certificate will serve as a seal of quality on the financial performance of a project in order to establish trust amongst end-client, project developer and financiers. Wind power is one of the free available energy sources like sun energy or water power. People in antiquity already used it for windmills and to take ships from one location to another. Today we have found another opportunity to use wind in a sensible way, we produce electricity. Especially in coastal regions and regions with consistent high wind speed, wind generators are economic. It is important, that the wind has minimum turbulences, because that would mean a lack of energy yield and the constantly changing loads can cause reduce of lifetime of the turbines. Therefore there shouldn’t be any higher objects in a distance of 200 meters. That makes the use of wind generators in urban areas very unattractive, because of the many obstacles which prevent laminar flow. In the last years, different systems of wind generators were developed, with their own advantages and disadvantages. On the one hand, there are widespread horizontal axis wind turbines with 2 to 5 rotor blades. They stand out for high efficiency, high stability and a long lifetime. But they depend on a mostly laminar flow. Alternatively, there are so called vertical axis turbines. They are silent and independent of wind direction with a long lifetime. But they are less efficient, that is the reason why horizontal turbines are used more often. During the planning of a wind generator it is important to weigh if the average wind velocity is high enough to produce sufficient energy. If there are meteorological data of the installation site, the produced amount of energy could be simulated. 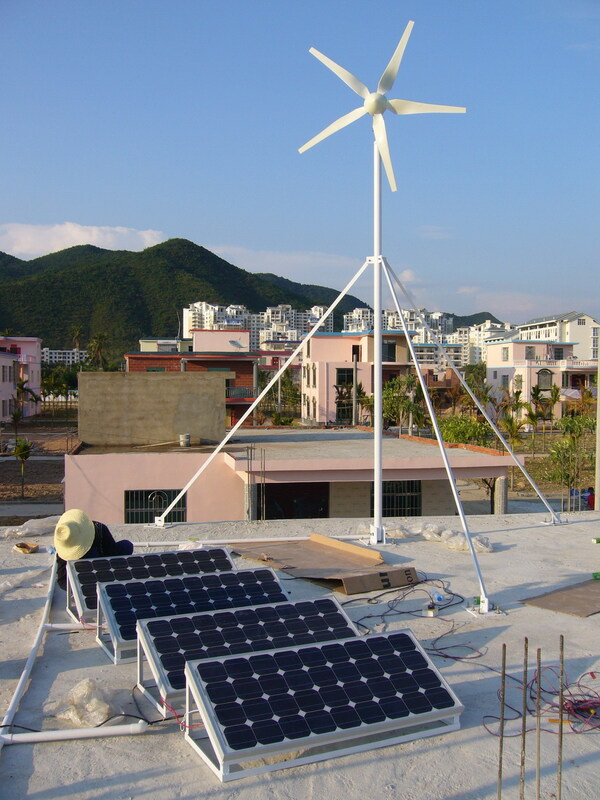 Nevertheless, the best option to check if the wind generator is profitable, is a previous measuring with appropriate measuring devices, at best for one year. The data acquired from the measurement suggests a clear conclusion of the useful application of a system. If it turns out that wind power alone is not enough, there is the opportunity to use a hybrid system with wind and solar energy. Thus deficits during the course of the year can be compensated. Especially during the winter months, wind velocity increases, while solar radiation reduces. During the summer months it is vice versa. With a correctly dimensioned hybrid system you can guarantee an equal energy output. From the many years of experience Phaesun can offer you valuable assistance to design and purchasing of components for proven horizontal axis turbines. The programme includes pure wind generators as well as hybrid systems with 12 to 48 VDC. For more information about Phaesun and the wind power modules please check www.phaesun.com. Practical Action has just released the newest edition of our Poor People’s Energy Outlook series, exploring how undertaking national energy access planning from the bottom-up produces cheaper, faster, more appropriate and reliable energy services for the rural energy-poor. Using case studies from Kenya, Bangladesh and Togo, we carried out rigorous community energy planning exercises to be compared against existing national plans; none of which we found adequately planned for or addressed the realities of rural electrification needs. In each case, we assessed local energy resources to determine the range of technically feasible solutions for both electricity and clean cooking. We looked at current levels of access, noting progress already made with stand-alone solar systems in many communities. We then established priorities for energy in homes, farms and other livelihoods, and for community services. This highlighted both needs and gaps in the services people require. The resulting demand profiles were ‘aspirational’ given inefficiency of appliances currently available in their localities. These aspirations equated to Tier 2-3 (on the SE4All multi-tier framework) for households, and Tier 3-4 for livelihoods/small enterprises. Based on these profiles, we modelled least-cost means of delivering electrification, comparing grid extension (including additional generation), local distribution systems (powered by diesel or renewables), and stand-alone solutions. In all but one case, decentralised options were cheaper or cost-competitive with grid extension. In three cases with more dispersed communities far from the grid, all or the majority would be best served with stand-alone solar. In another five, mini-grids were cheapest; and in three grid extension was marginally cheaper - but of course would be slower and prone to the unreliability of national grids in these countries. Our modelling did not tackle questions of viable business models or how to close the affordability gap. However, it serves as a reference point for national planners, demonstrating where government resources and policy efforts would best be directed. It shows how much further we need to go in promoting hybrid mini-grids and stand-alone solar if we are to meet the energy needs of millions of people by our tight 2030 SDG timeframe. The main conclusion of the report is to show that most energy planning and donor support is currently out of touch with the needs of the energy-poor, and alternative approaches using distributed renewables would be cheaper and better in many ways than business as usual. 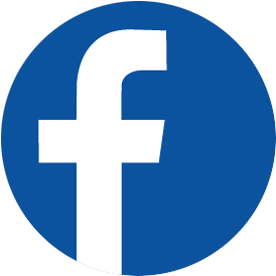 We invite you to join us in sharing these important messages! 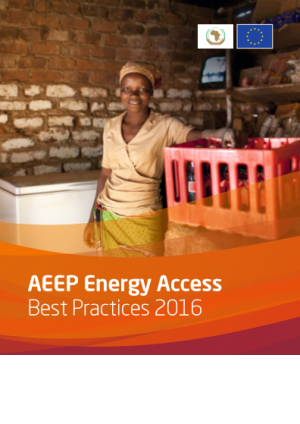 The Africa-EU Energy Partnership (AEEP) has released a new publication on “Energy Access: Best Practices 2016”. 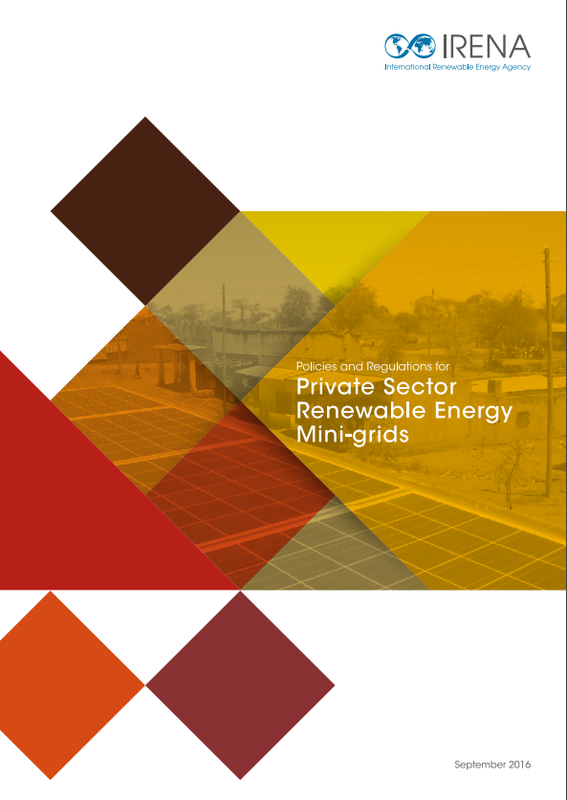 It compiles 24 case studies of projects and programmes on clean energy in Africa, covering a vast portfolio of initiatives in the field of research and capacity building, off-grid and mini-grid PV solar systems in rural areas, small hydro, and policy-making. It is the first publication of the AEEP’s Energy Access work stream, a working group composed of representatives of civil society, academia, the private and the public sector of which the Alliance for Rural Electrification is the custodian. 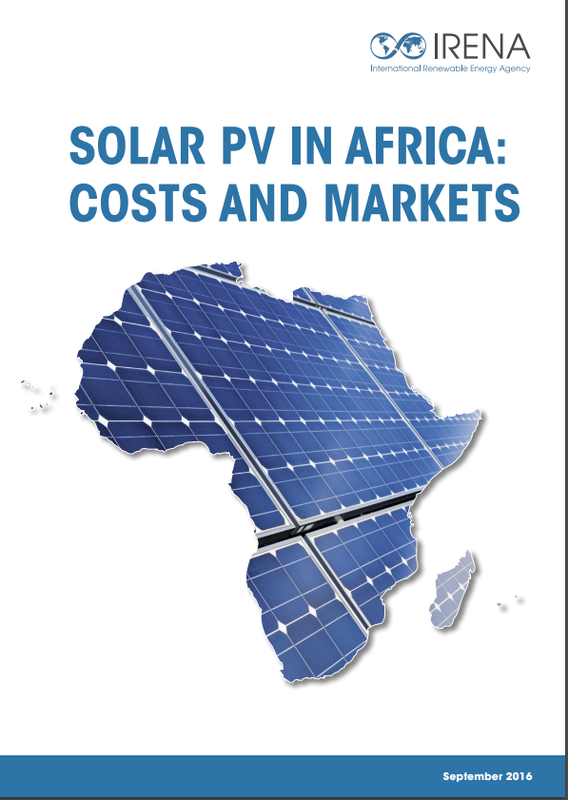 Accessing suitable sources of funding remains a key challenge for privately developed renewable energy (RE) projects in African markets. In order to address this issue, our partner, the Africa-EU Renewable Energy Cooperation Program (RECP), has launched its Finance Catalyst service. The Finance Catalyst supports project developers in identifying and attracting funding for their projects. While it will not directly finance projects, it provides support in accessing funding, and financial structuring towards getting projects investor-ready. Projects that seem technically, contractually and financially feasible can benefit from this support to bring their project to financial closure. RECP has partnered with a team of dedicated experts with extensive experience in renewable energy project development and finance in Africa. The team assists RE projects in the on-grid as well as the off-grid space. The Finance Catalyst operates on a technology neutral basis within the range of RE solutions. The team has dealt with wind, solar, hybrid, hydro, biomass and biogas projects using a variety of business models. If you are interested in accessing this service, you can submit your proposal and specific request for assistance by utilising the intake form on the RECP website. The form has been placed on a secure server and the advisory team treats all information submitted confidentially. Following a periodic review period, the Finance Catalyst team will initiate direct correspondence with qualified applicants. Once reviewed, you will receive an email from RECP with a unique project identifier. 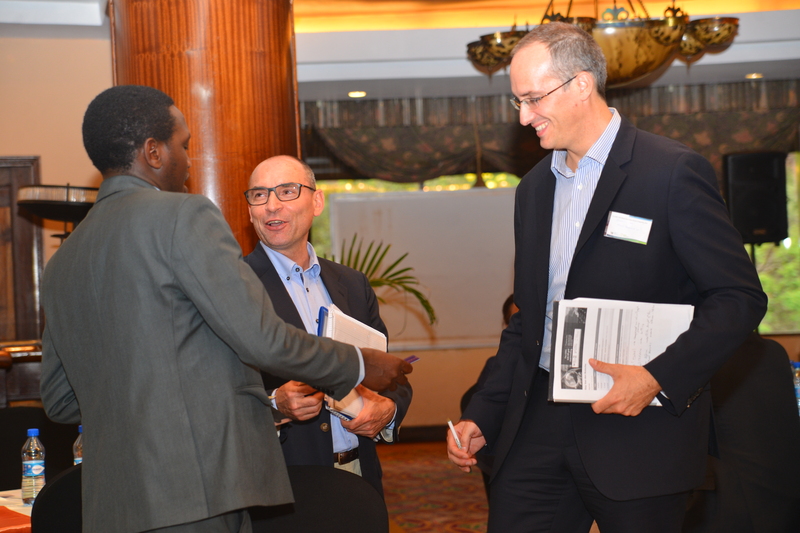 ARE, in collaboration with the Africa-EU Renewable Energy Cooperation Programme (RECP), hosted an Off-grid Matchmaking Event the day before IOREC on 29 September 2016 in Nairobi, Kenya. More than 100 participants attended and made use of the opportunity to have targeted meetings with financiers, project developers, manufacturers and other stakeholders in the renewable energy sector. The event structured B2B and B2Finance matchmaking sessions and allowed participants to network and identify business partners and financiers, as well as advancing existing projects at different stages of maturity and was complemented by presentations on the business services offered by ARE and the RECP, as well as a reception to deepen contacts. 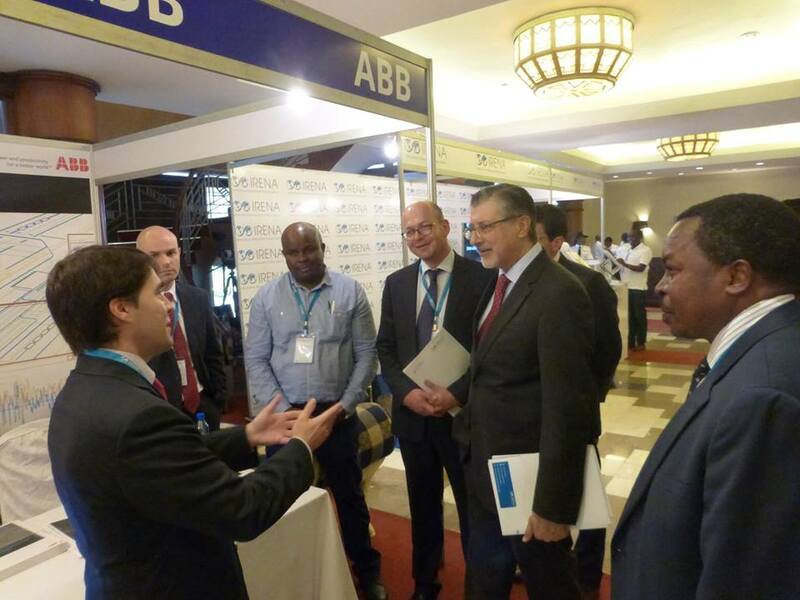 On 30 September - 1 October 2016, the International Renewable Agency (IRENA) in partnership with the Kenyan Ministry for Energy and Petroleum and ARE successfully organised the third edition of the International Off-grid Renewable Energy Conference (IOREC) in Nairobi, Kenya. 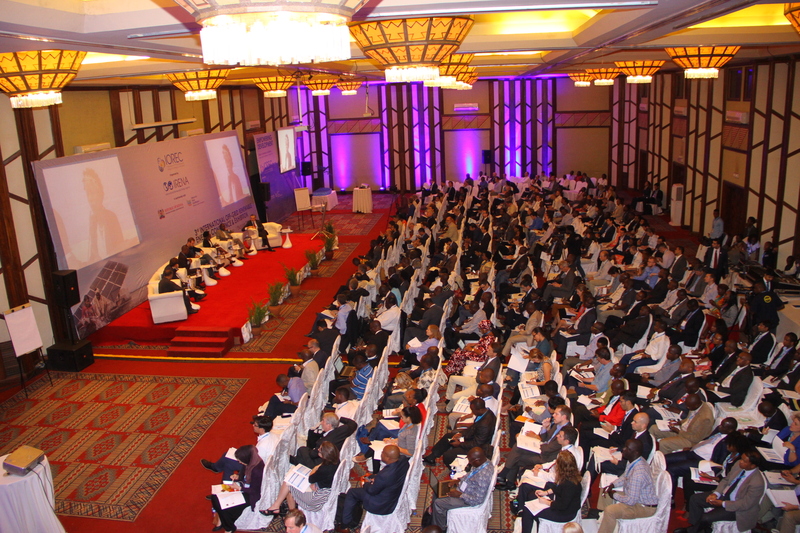 The conference and exhibition was attended by more than 500 participants across the decentralised renewable energy sector including representatives from the private sector, rural electrification agencies, energy ministries, financing institutions and international organisations. In cooperation with the Strathmore Energy Research Centre (SERC) and the Sustainable Energy Research Group of University of Southampton (SERG), ARE offered IOREC participants the chance to take part in two site visits on 2 Oct 2016. One site visit was to a PV-wind nano-grid as well as the training facility of SERC. 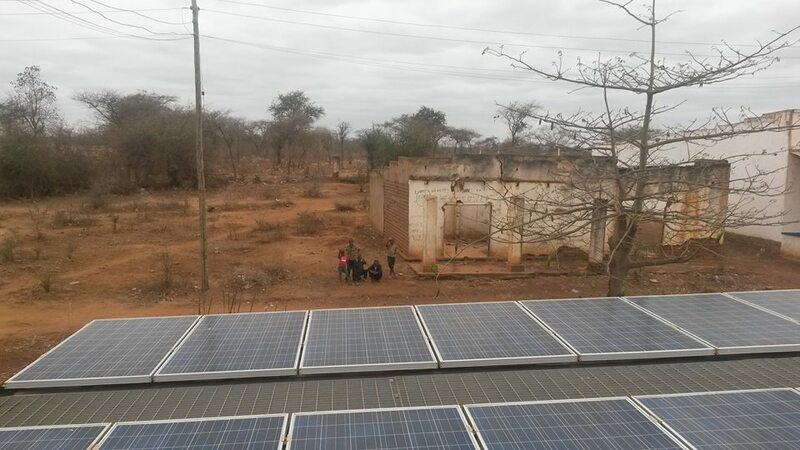 The other site visit was to a community-run PV mini-grid (More information). 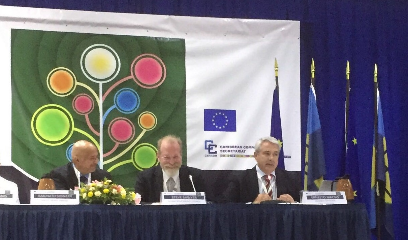 ARE President, Ernesto Macias represented ARE at the EU-Caribbean Sustainable Energy Conference, Barbados, in the “Workshop on Technology, Innovation and Cooperation” as well as in the session on "Mobilising Investments in Sustainable Energy”. The Conference started with the signing of different cooperation agreements between CARICOM, Barbados and the EU, including relevant financial funds and had the overall aim to unfold the Caribbean region’s large renewable energy potential. (Presentations, photos). ARE Board Member, Katarina Hasbani (Revelle Group) will represent ARE as a IEA-PVPS T9 Expert at PVSEC-26 in the workshop focusing on PV in Buildings and will present on the topic “Off-grid solar home systems as a competitive decentralised solution to bring energy access in developing and emerging countries” (programme). ARE Board member, Dr. Karl Kolmsee (Smart Hydro Power) will represent ARE at the event, which will focus on the green development of global small hydro power and sharing the successful experience of China on SHP development. In the context of COP22 in Marrakech, the European Commission will organise a side event presenting the results of the 1st round of invitation under the Electrification Financing Initiative (ElectriFI). The event will take place on the 16th of November 2016 from 11.30 am to 12.30 pm at the EU pavilion and will present the results of the 1st round of invitation including the first projects to be supported. The targeted audience will include representatives from EU and partner countries, International Organisations as well as representatives from the industry, private sector, financiers and civil society organisations. ARE Board Members Guilherme Collares Pereira (EDP), Dr. Karl Kolmsee (Smart Hydro Power) and Pablo Astorga (ABB), will all speak at the Microgrid Global Innovation Forum, which brings together thought leaders, energy executives, and project managers from around the world for two days of intense networking and information sharing concerning the latest technological developments, design, implementation and operation of hybrid renewable energy microgrids. ARE is contributing to a 5-day training for government representatives from developing Asia organised by the Sustainable Energy Center of Excellence in Singapore with support from the Asian Development Bank. The training will provide an update on the latest trends in rural electrification, basics of project development and financing and the will be an indispensable contribution to better policy making in the region which can be conducive towards achieving universal energy access. With a preference for interested experts coming from Asian developing countries, you are invited to contribute as speakers. 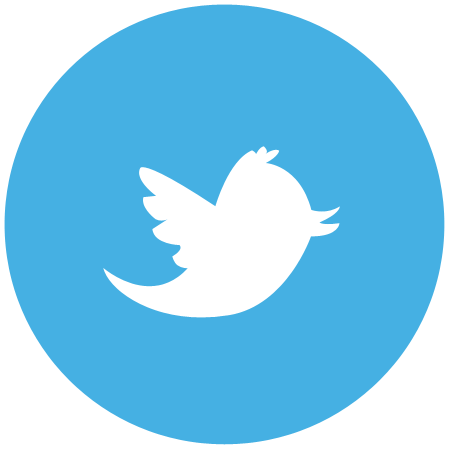 In case of interest, please contact ARE Executive Director, Marcus Wiemann.